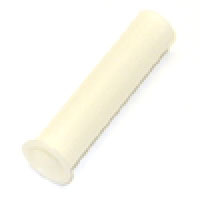 Plastic coil sleeve, 2-3/16 inches (53mm). Standard size for longer-length flipper coils used on many later-model games. Replaces Bally/Williams # 03-7066-5, Stern # 545-5388-00, Data East # 260-0003-00, 515-5086-00, and 545-5388-00, Jersey Jack Pinball # 30-0014-35, and others.